A hike through the wild and romantic Aa gorge past boulders and over numerous bridges; it's perfect for hot summer days due to the amount of shade. Numerous family-friendly barbecue spots and picnic areas along the way. From Engelberg railway station, the starting point of the Aa Gorge trail, you skirt Lake Eugeni towards the end of the village. The gorge starts at the end of the lake at the old stone bridge with the magnificent mountain panorama behind you. 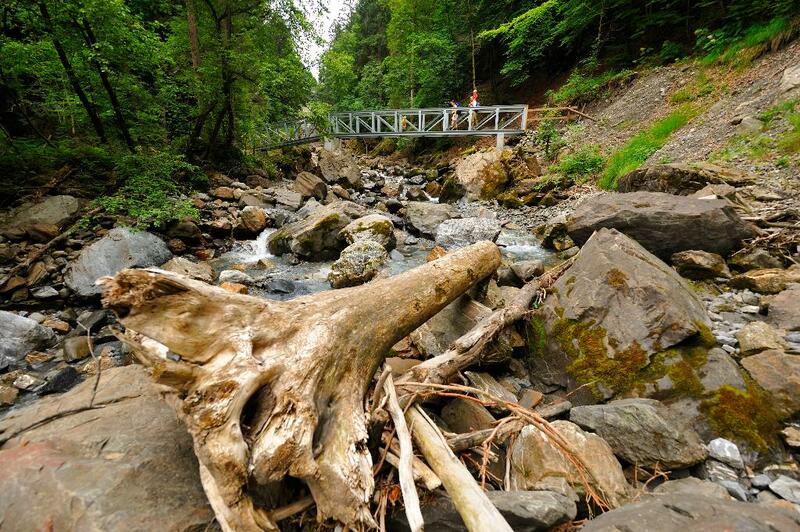 This is just one of the many bridges you'll encounter on the way. Again and again, you cross the Engelberger Aa via stone or steel bridges, following the course of the stream on either bank. The path is mostly narrow but well maintained, so it can also be walked with children. The sound of the water is like music in the ears: it accompanies you throughout the hike. Thanks to the pleasantly cooling water of the Engelberger Aa and the shady trees, the Aa Gorge is an unforgettable hiking experience even in hot weather. At about halfway, after an hour's walking, you reach a well-appointed barbecue spot by the water's edge: tables, benches, covered seating and a barbecue grill. Thirsts can be quenched at the fountain. Building cairns and dams and playing hide and seek in the woods are just three activities for the kids. A wonderful place to take a break. After a rest, you continue over the next bridge and past the Obermatt reservoir. The end of the gorge is again marked by an ancient stone bridge. The rest of the route runs flat as far as Grafenort railway station for trains to Engelberg or Stans. Sturdy footwear and rainwear recommended. Numerous barbecue and picnic spots line the trail - it's worth packing a picnic! A2 motorway (Basel-Gotthard) to Stans Süd, then main road to Engelberg for 20 km. 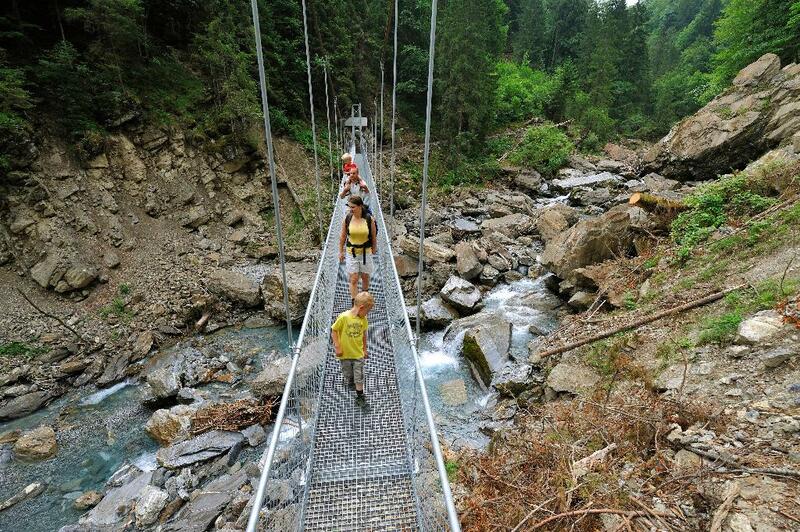 Engelberg is 30 minutes' drive from Lucerne, 1 hour and 15 minutes from Basel, Zurich or Bern. National and international connections to Lucerne (half-hourly services from Zurich airport; travel time approx. 1 hr). Then Zentralbahn railway: 43-minute trip through varied landscape and gorges up to Engelberg.